Tom Leech knows his way around beating things to a pulp. But don’t worry. No one’s in bodily danger. Yucca plants, hollyhocks and old rags, however, better beware. As director of the Palace Press, Leech considers the type of paper he prints on to be as important—sometimes, more important—as the choice of fonts. While he often scouts around to purchase the perfect material, he also whips up his own versions—most recently, with yucca fibers as part of a project for Eric Blinman, director of the state’s Office of Archaeological Studies and an expert on the traditional uses of yucca by Native Americans. The first time he tried it, Leech said, he ended up mimicking an “I Love Lucy” episode in his home studio. “Suds poured out of the beater,” he said. Now he moves the beater outside and lets the suds fall where they may. 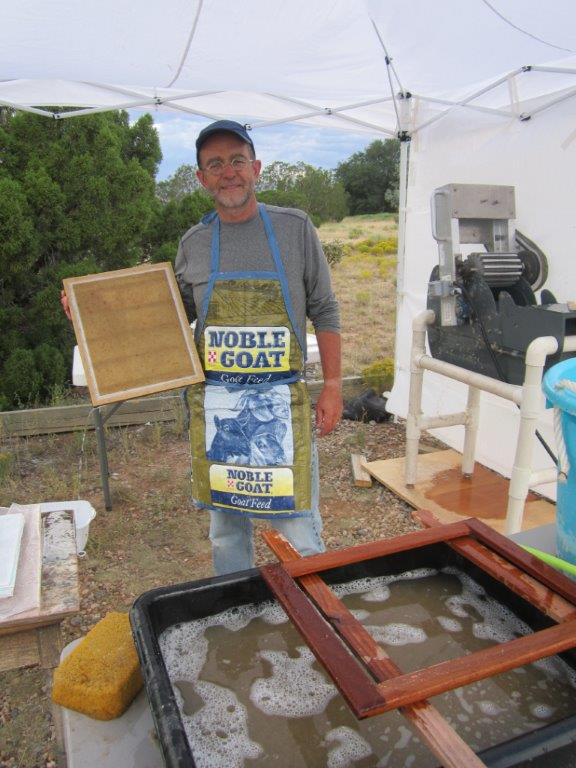 Other fibers and additives he’s used include barley straw, hollyhocks, iris leaves, old Levi’s, flax, hospital linens, beer cartons and Bibles. (The last two were for a recent broadside featuring a poem, “Permission,” by Barbara Minton.) This February, when the Museum of Art features Shakespeare’s First Folio, Leech may recycle an edition of Hamlet into paper for yet another project. Not all pressmen make their own papers, said Leech, who’s also accomplished at creating marbled papers. After artist Audrey Hinsman and her husband retired to Santa Fe six years ago, she began looking for a volunteering opportunity. 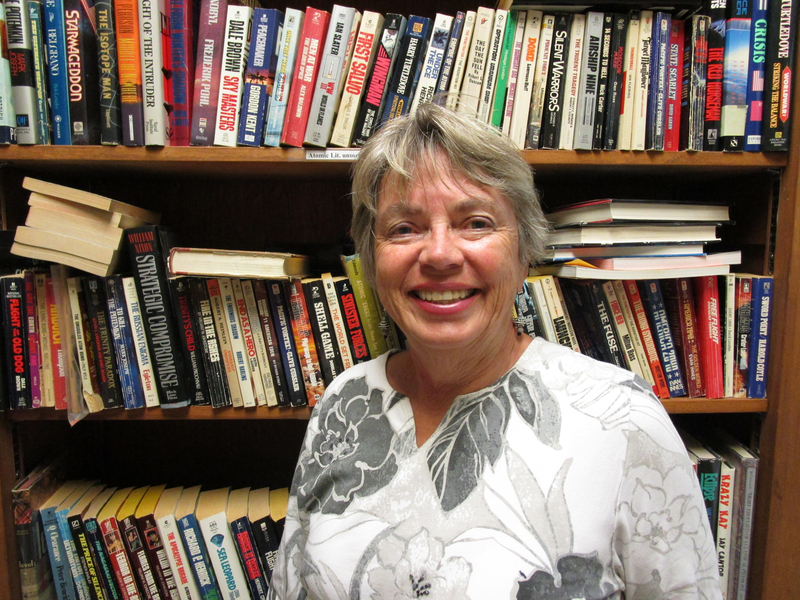 She enjoyed being a docent at the Museum of International Folk Art, but three years ago, her love of books drew her off Museum Hill and into the Fray Angélico Chávez History Library. “I love history. 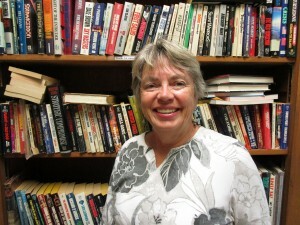 I love books, and there was a need for somebody to sort things out,” she said. The “need” was significant. More than five years ago, folklorist and aural historian Jack Loeffler donated a bounty of his taped interviews and music performances to the library, but the collection needed an online search tool to help people know what they might find. Working for two to three hours a week, Hinsman combined Loeffler’s spread sheet of each reel-to-reel tape’s contents with what he had long ago written on the box holding each one. How big a task was that? The collection had 902 tapes that fill an entire bookcase inside the library. 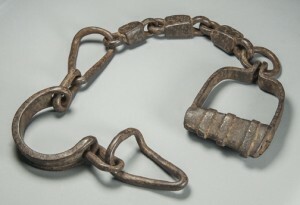 Shackles from the Inquisition prison in Mexico City, 17th century. Private collection. Photo by Jorge Pérez de Lara. In the 10th through 13th centuries, Spain flowered into a golden age, as Muslim, Jewish and Catholic peoples achieved new heights in science, philosophy and the arts. That triculturalism, though, endured repeated challenges, first by fundamentalist Islamic Almohads in the 12th century, then by Christian kingdoms in the late-14th century, when it finally deteriorated into dissent, segregation and riots. By 1492, when King Ferdinand and Queen Isabella unified the nation under the Catholic crown, cultural chaos roared forth. A royal edict ordered all Jews to either leave the country or convert to Catholicism within four months—or else. (A similar edict befell Muslims in 1502.) The Spanish Inquisition (and later, the Portuguese and Mexican Inquisitions) stood ready to persecute any Christian who failed to abide. Violators endured prisons, torture and death. What would you do? Repudiate the language, religion and customs of your people in order to stay in your home and with your family? Or walk away from all you owned, all you knew, and embark upon treacherous journeys across land and sea toward a life you could barely imagine? Fractured Faiths: Spanish Judaism, The Inquisition, and New World Identities, opening May 22, 2016 (tentatively through December 31, 2016), stands on the brink of that chasm and leaps into a diaspora that dates to biblical times. For the first time, a major institution tells the comprehensive story of how Spain’s Jewry found a tenuous foothold in North America. Despite continued persecution and investigation, its people persisted—sometimes as upright Catholic conversos, sometimes as secret “crypto-Jews”—to finally make a mark as successful merchants, artists and philanthropists in New Mexico. Emblems of that struggle for cultural identity appear even today: A menorah carved into a tombstone in a Catholic cemetery; oral histories of tangled roots; Hispanic villages where genetic clusters speak to Jewish lineage.